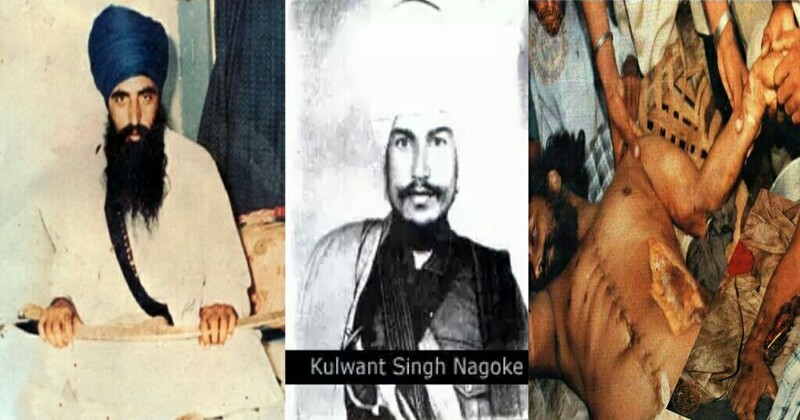 Shaheed Bhai Kulwant Singh Bailey – One of the personal bodyguards of Sant Jarnail Singh. After the Vasakhi Massacre of 1978, Narakdhari Leaders were being killed and the Punjab Police had their eyes on 11 Singhs and released this list. This list didn’t have any names of known criminals, instead all were dedicated Gursikhs from the Akhand Keertani Jatha. Bhai Kulwant Singh’s name was on this list as well. Bhai Sahib used to farm on his family’s fields daily and one day while returning home he was picked up by the Police. Bhai Sahib was tortured endlessly and then presented to the courts. The Police claimed he was arrested on June 4th 1982 when in reality he was arrested on May 27th 1982. The Courts allowed 5 days to the Police to present Bhai Sahib in court as Bhai Sahib had been tortured so brutally he was unable to make it into the court. On June 9th, the Police did not present Bhai Sahib in Court and on June 10th they held a press conference announcing Bhai Sahib had escaped custody. On June 11th Bhai Sahib’s body was found near a river covered in blood. The Police again held a press conference and this time said Bhai Sahib after escaping had been tracked down and when the police went to arrest him, a gun fight ensued and in this fight Bhai Sahib was killed. In reality Bhai Sahib had been tortured and had died in Police Custody and the Police had fabricated the story to cover themselves. Bhai Sahib became Shaheed sometime between June 4th and June 11th 1982. Forcibly Tied Bapu Ji’s Arms and Legs To The Bed ; Have Started A Course Of Glucose.